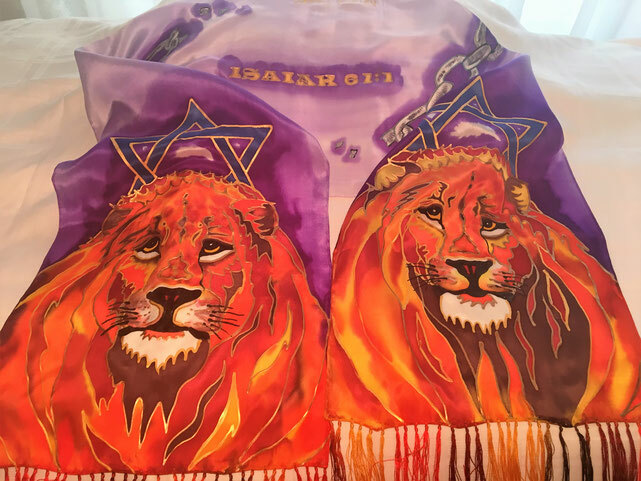 Lions Isaiah 61 Scarf - 3 Strand Cord Silks - Glowing Silk Flags & Billows based on the Bible, Jesus and His Church, to enhance your worship of God! "Lion Isaiah 61:1" The Scriptural mandate of the Apostolic work of Jesus Christ and His Church is illustrated by this beautiful design. A silver/gray chain is shattered by the scripture verse while majestic lions stand guard over the wearer. Overall sense of the scarf is of Faithfulness, the Priesthood of the Believer and the Power of the Word. Hand painted silk scarf is 60" long and 11" wide, with fringe. Two majestic lions with long fringed beards wearing Stars of David on a variable lavender/purple background. 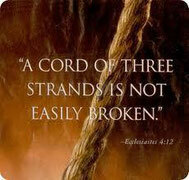 "Isaiah 61" in between two ends of a broken chain the center. Photo shows a personalized scarf - there is no charge for this option. 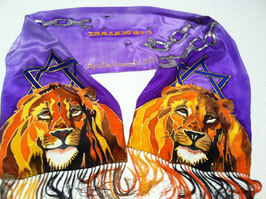 Hand painted silk scarf is 72" long and 14" wide, with fringe. 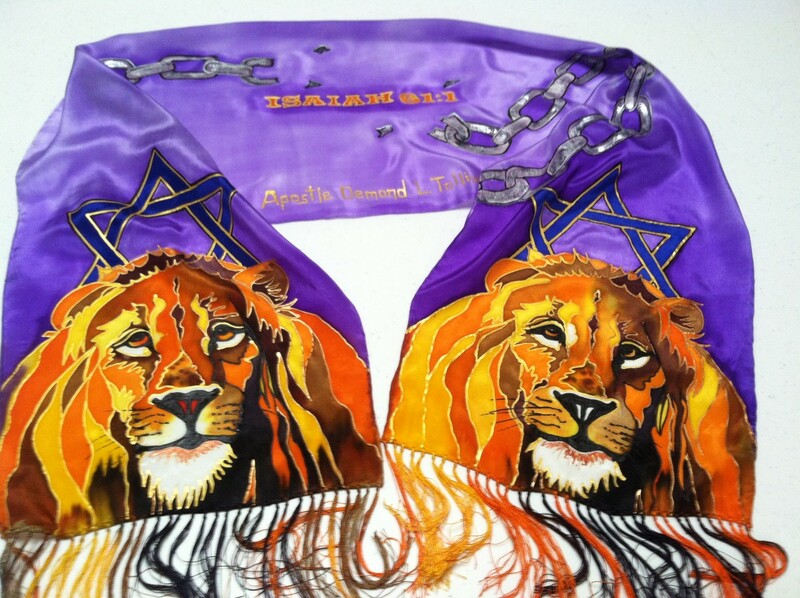 Two royal lions with long fringed beards and Stars of David on a variable lavender/purple background. "Isaiah 61" in between two ends of a broken chain the center. 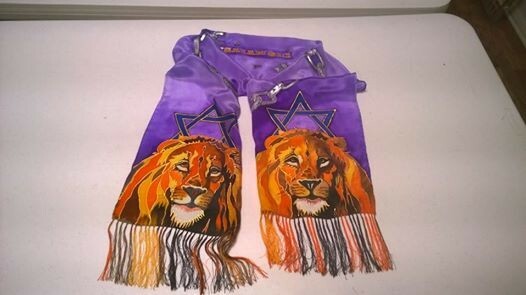 Photo shows a personalized scarf - there is no charge for this option.